The Jersey Shore may see its first snowfall of the season on Wednesday – and it may be just enough to affect the PM commute. 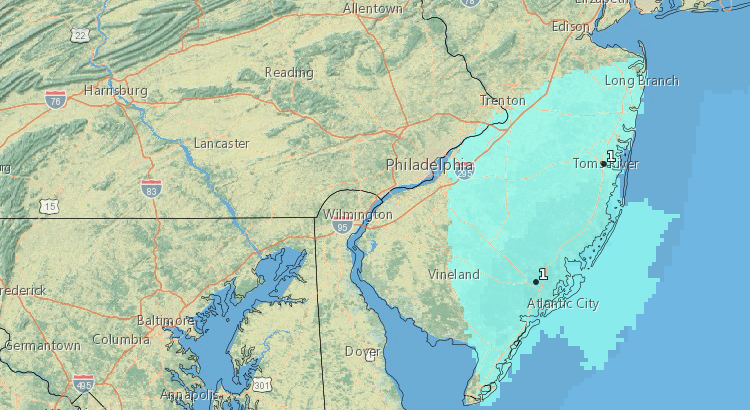 According to the National Weather Service, a small storm will move in after about 10 a.m., bringing snow showers to coastal Ocean County for the next several hours. The light snow could mix with rain depending on the temperature. The storm will bring just a half-inch to one inch of snow, but could be enough to make roads slippery in time for the evening commute. Wednesday’s high temperature will be 39 degrees, giving way to cloudy skies and a frigid low of 23 degrees at night.